Here's the new set of 100 postcards released by Quarry Books. With this set of postcards, you'll see the works of 62 artists, or urban sketchers as they are called. The locations featured in their sketches are from all over the world. There's a variety of interesting styles to check out: line sketches, watercolour, pencils and markers. 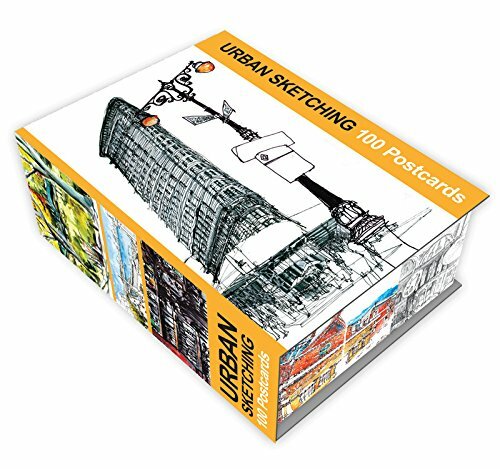 The featured artworks on the postcards are actually from the book The Art of Urban Sketching. Definitely check out that book if you haven't done so. The book is more worth the money because there's more context.